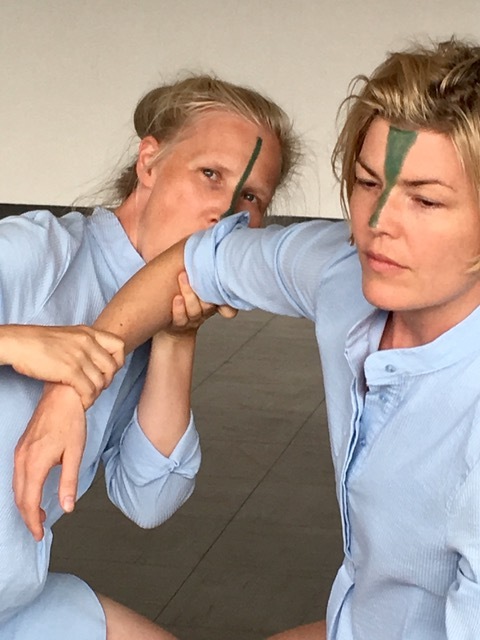 “Channelling – the short fall piece” opens another episode of dancing in the twosome by the duo while engaging in the dissolvement of individual artistic identity. Resonance, pas de deux and synchronicity are sought out in order to channel our third mistress’ voice: Chuck Morris. One decade ago in 2008, Chuck Morris started its feminist duo ventures into choreography and performance. It’s a life contract claiming bright futures even though there may be none left looking forward to. As for right now, it is a ten year anniversary song, a sweet tune from a faint distance, ringing in the ears of anyone we ever met. presented at Warehouse9 24.10. – 28.10.2018 in Copenhagen / by and with Chuck Morris / commissioned by Salon New Love / with support from Tårnby Torv Festival.